NEW THRILLER RELEASE: What happens when one California community has a disturbing spike in homicides? Sign up for Book & Crime Newsletter! Emily Stone in a Live-Action Book Series Trailer! May You Have a Merry Christmas! 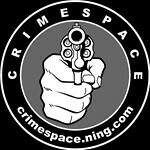 CrimeSpace: A place for readers and writers of crime fiction to schmooze, booze and draw up plans for the heist to end all heists.